Africa Fashion Week Nigeria 2018. Call for Designers!!! 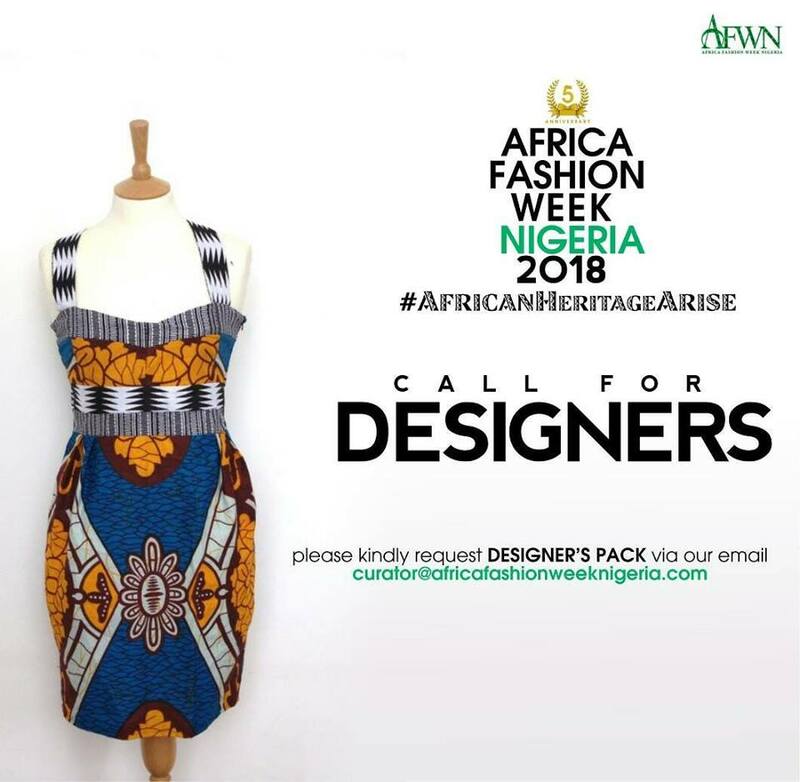 "Africa fashion week Nigeria" #afwn2018 is back again with its unique show that graces the best of creative designs, models and electrifying ambience all agitating the beauty of Africa. For more information, inquiries and Sponsorship, send a mail to info@africafashionweeknigeria.com.